Hands up if you're fed up of dry lips...me me me [hands in the air]. As the weather changes, so does my skin and at certain times of year I tend to experience dry, flaky, chapped lips. So I generally moisturise my lips with my favourite moisturiser Simple Intensive Lip Moisturiser. Most of the time it does a great job at making my lips feel smooth and soft, plus it leaves a nice glossy shine. But it's not always the solution to preventing my dry lips. So pukka up ladies and gents. 1 / A teaspoon of Extra Virgin Olive Oil - Rich in vitamin E and other powerful antioxidants. Replaces moisture and elasticity. Great healing and preserving properties. 2 / Half a teaspoon of Raw Virgin Coconut Oil - Coconut oil is great for hydrating your skin. It conditions, moisturises, softens, heals, gets rid of flaky skin, contains a natural sunscreen and much more. 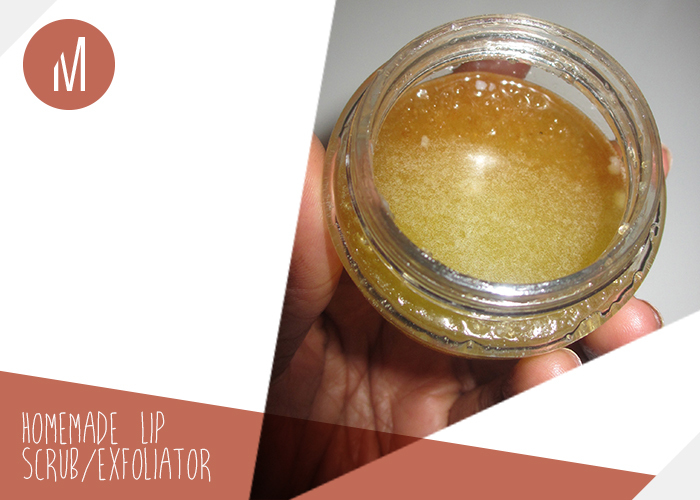 3 / A teaspoon of Sugar (Brown or Caster) – Exfoliating. Tip: Exfoliate before you wear lipstick, especially matte lipstick. We all hate those pesky flaky bits. Give it a go and let me know your thoughts below.